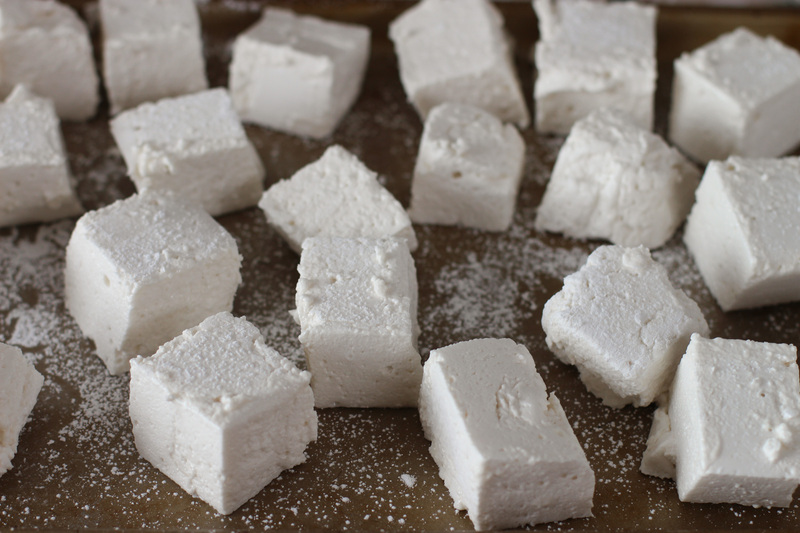 Ring in 2014 with some homemade marshmallows for your hot cocoa! Like most of the fun things I’ve been posting to my blog lately, marshmallows are another one of those things I’ve wanted to make for a long time. 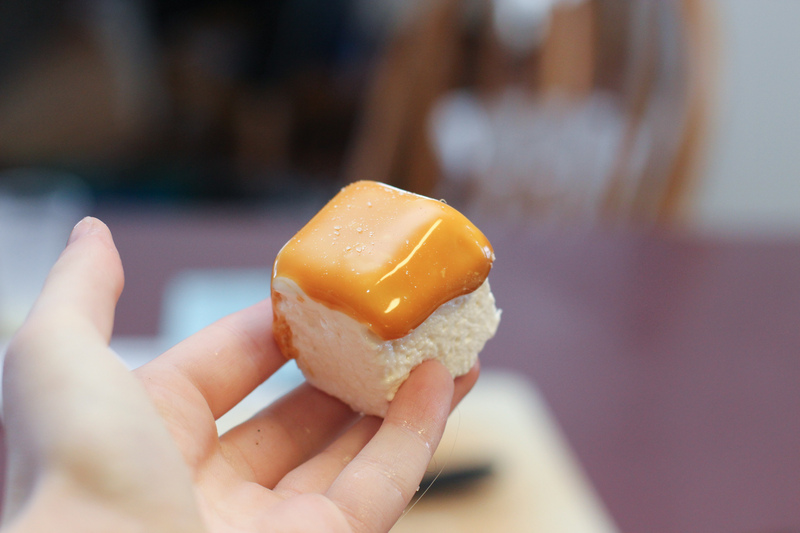 A month ago, when I was in the midst of finals cramming, I occupied myself with food bloggery, and I ended up coming across some fun homemade marshmallow ideas. Most of the recipes had the same basic marshmallow recipes (for the most part, at least), but toppings varied widely. Some bloggers swirled different flavors throughout their marshmallow batter, and some people dipped their marshmallows in fun things like chocolate and even gingerbread batter. The diehard salted caramel fan I’ve been lately, I couldn’t resist the idea of creating salted caramel marshmallows so that I could turn any old cup o’ Swiss Miss hot cocoa into a Starbucks salted caramel mocha. That’s how it works, right? Be careful not to burn yourself too much on hot caramel, and keep your sticky marshmallow mess to a minimum, and soon enough you’ll have your very own batch of marshmallows. I know I’ll be taking this recipe back out for s’mores season this summer! Base marshmallow recipe adapted from Joy the Baker. 1. 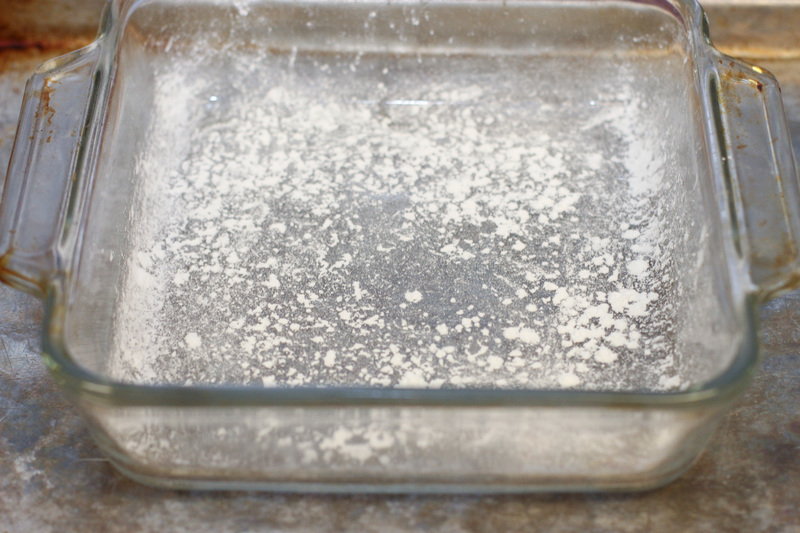 Spray an 8×8-inch baking pan with cooking spray and coat with powdered sugar. Set aside. 2. 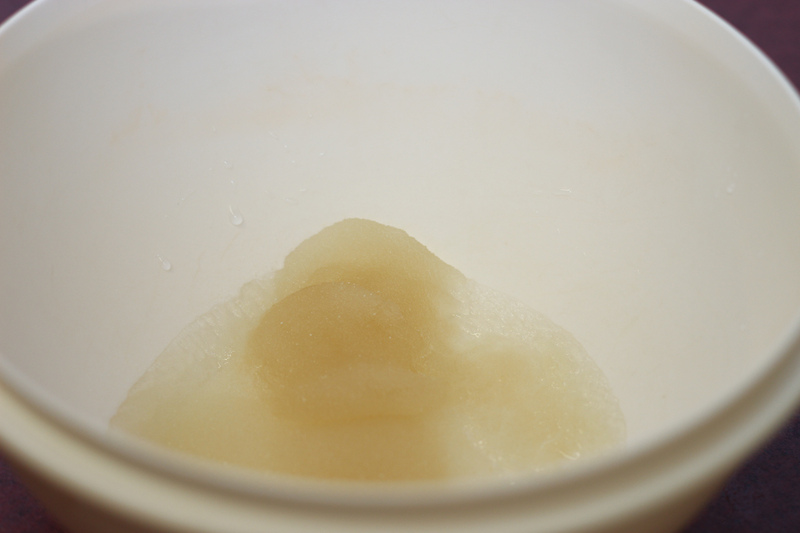 Pour 1/2 cup cold water into a medium-sized mixing bowl, and sprinkle both gelatin packs over the water. Let stand for 10 minutes. 3. 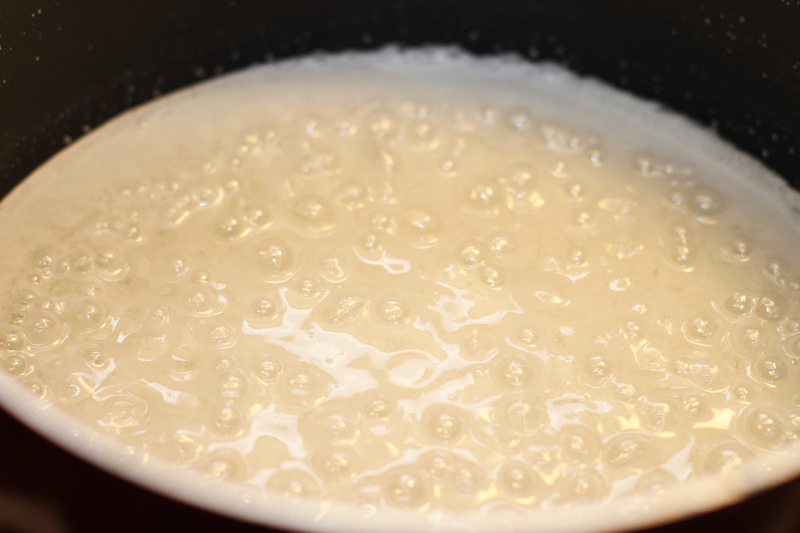 Bring sugar, corn syrup, salt and 1/2 cup cold water to a boil in a saucepan over medium heat, stirring to dissolve the sugar. 4. Keep the sugar mixture at a boil without stirring it until its temperature reaches 240ºF according to a candy thermometer. 5. 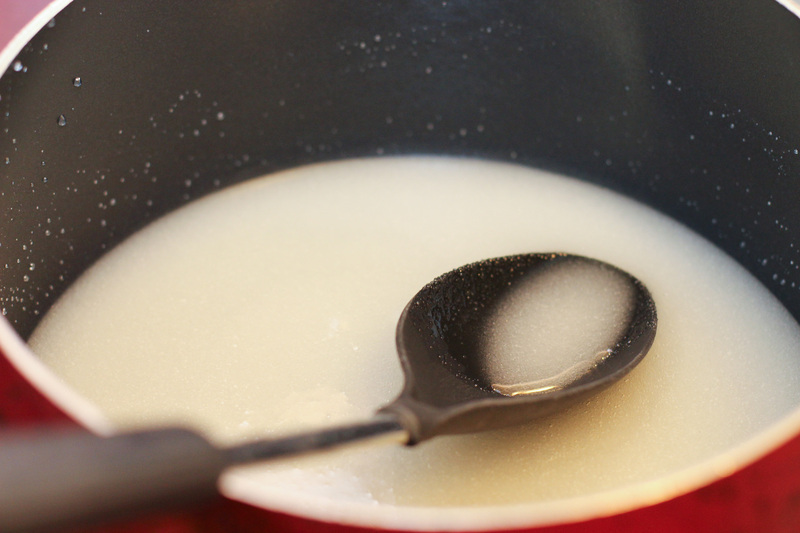 As soon as the sugar mixture reaches 240ºF, use either a hand or stand mixer on low speed to begin beating the gelatin and water mixture. Slowly pour the boiling sugar mixture in with the gelatin, gradually increasing the mixer’s speed until all of the sugar mixture is added. 6. 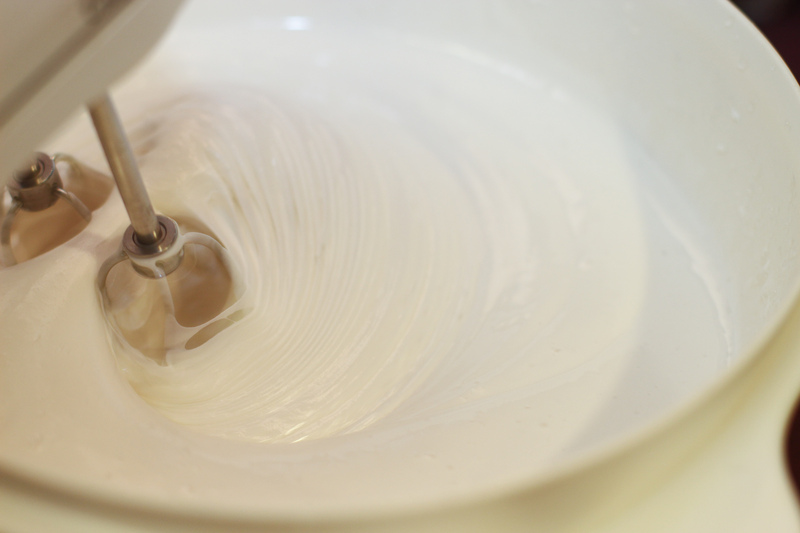 Beat on high for 8 minutes, or until you have a white, fluffy marshmallow batter. 7. Pour in vanilla extract and beat for 2 more minutes. 8. 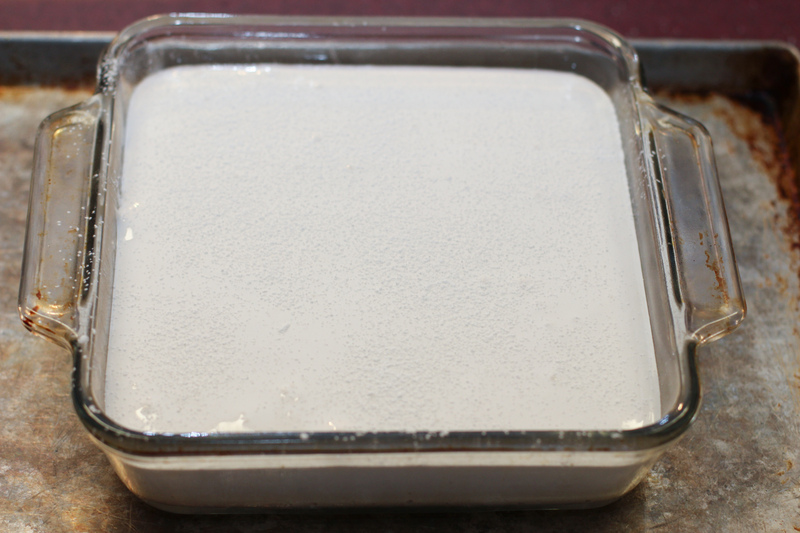 Spread the marshmallow batter into the prepared baking dish and top with a few heaping pinches of powdered sugar. Let set for at least 4 hours, or even overnight. 9. When marshmallow is set, scoop entire marshmallow out of the pan and set it on a powdered sugar-coated cutting board. Slice marshmallows with either a powdered pizza cutter blade, or even a powdered knife. 10. 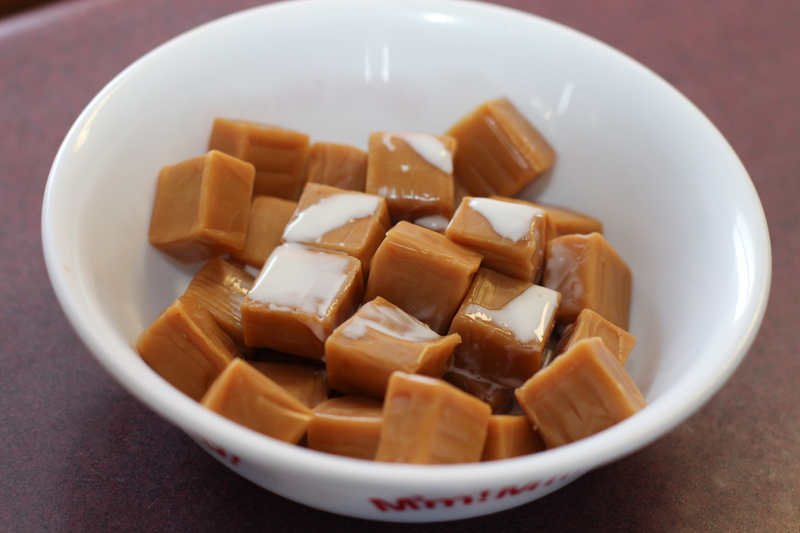 Top caramel candies with milk and heat in microwave for 10-second increments, or until completely melted. 12. Enjoy in a nice, hot mug of cocoa, or just eat the marshmallows alone. 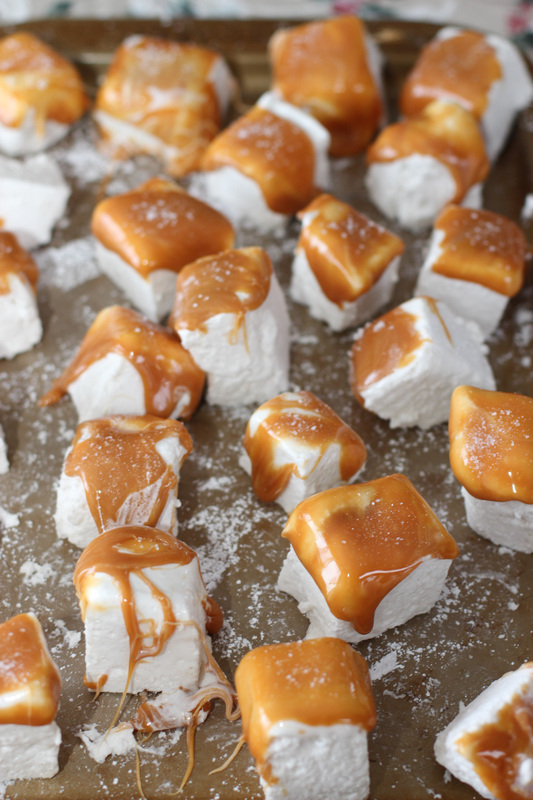 This entry was posted in dessert, Recipes and tagged candy, caramel, food, foods, marshmallow, marshmallows, recipe, recipes, salted caramel, sea salt. Bookmark the permalink.